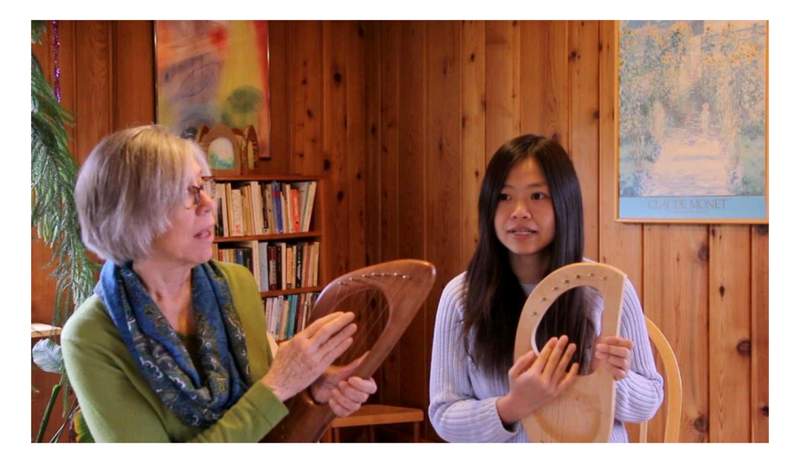 Yushi Zhang and Marianne Dietzel of Minnesota are working on a project together - "Twenty-five Lessons, Step by Step, Knowing your Kinderlyre." Thanks to modern technology, they do not need to travel to China, for they are reaching many people through videos. Since the Waldorf movement has bloomed in China, the Kinderlyre is becoming a part of many Waldorf families and new Kindergartens, but there are not a lot of resources to learn and practice. The videos start from getting to know the lyre and how to stroke the strings, and move to more practical aspects such as tuning the lyre, changing a string, and basic music reading skills, as well as understanding and playing mood-of-the fifth and pentatonic music. They are trying to give the audience a jump-start on discovering music with the Kinderlyre. They have been getting feedback that it is a very thorough course and the teacher is very thoughtful and understanding of where students are coming from, and the clear translations are appreciated! The students are mainly from China, but some are Chinese speakers living in other continents who benefit from having this course available online in their native language. Yushi and Marianne are hoping to help more people understand their lyres through this course. For more information, contact Yushi at Yushi.chengdu@gmail.com.